I think this is the first time I’ve written a post that is non-Roz. 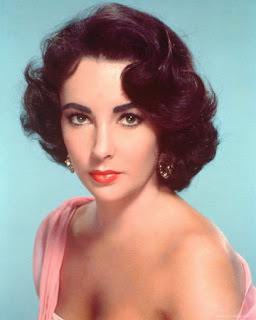 But when I heard the news this morning that Liz Taylor had died, I had tears in my eyes. She was one of my favorites and I was shocked at the news, even knowing her condition. I think she was the most beautiful actress I have ever seen and she wasn’t just beauty like many were. She had brains, too, and talent. You’ll agree with me if you have seen her in “Who’s Afraid of Virginia Woolf?” I was blown away by her performance and the ending makes me cry along with her every time. She was truly amazing, gorgeous, and a true star in the best sense of the word. Rest in peace, Liz. We’ll never forget you. On Sunday, November 28, 1976, Rosalind Russell died of breast cancer, the cancer that she fought for so long (ever since they found the first tumor around 1959). Somehow, this year, 2010, seems a little special in remembrance of her because it is a Sunday once again. I imagine her family did not have a very happy Thanksgiving that year, and they probably did not celebrate at all. If you can, watch a few video clips on YouTube of Roz or one of her movies to remember her. I know I will. I suggest comedies because I think that’s how Rosalind would like her fans to remember her–in happiness and laughter! Take care, everyone. I’ll embed a few YouTube clips I would recommend.